I've been designing for over ten years dating back to Quark (yikes!). I look for eager students to understand what they're doing as oppose to just memorizing. I will listen to your goals and adjust the curriculum to your needs. Whether it's working with Illustrator for the first time to getting advice for a project you're currently working on, I can assist you with your needs. I have lots of energy and love students with a sense of humor! Let's start having fun! Greetings! My name is Blake and I can't wait to meet you! I have been practicing design in the corporate, fashion and entertainment industries for over ten years. I can assist you with your goals from learning a new design software to providing guidance one of your current projects. Whatever you want to achieve, I can assist you by finding the right path. I do not have a set curriculum because every student varies from age to experience. My only rule is to take fun seriously! Lead Designer for The Hallstar Company. Responsibilities include designing flyers, brochures, trade show booths, office collateral, promo videos, corporate headshots and presentations. By being a member of the Marketing Communications department, other priorities include: establishing a consistent brand across all mediums, building relationships with our partners and maintaining budgets for orders and supplies. Designed show themes for posters, logos, programs, social media, and websites. Theaters include: Second City, iO, Annoyance, The Chicago Improv Festival, Stage 773, and Improv Nerd. Conceptualizing and executing internal and external communications in InDesign, Photoshop, and Illustrator. Designing new corporate icons for digital, print, and web banners. Internal corporate headshots for Grant Thornton’s website and advertising. Talking head and motion graphic videos in Premiere and After Effects. Designed holiday backgrounds for social media, calendars, and promotional pieces. Photography of ships, events and mascot. As a member of Media Technologies, collaborated with Client Service, Project Management and Programming departments to create media for user test surveys. Designed storyboards, product photography shelf sets, animated gifs, video reels, internal presentations, and corporate headshots. Instructed team members with the use of After Effects and basic Flash development. Blake was awesome! Super helpful, easy communication, and insanely knowledgeable. Will definitely be taking more lessons to improve my skills. Blake is great. I plan on continuing lessons with him. Very laid back, knowledgeable and easy to learn from. I highly recommend him. Blake did an amazing job in helping me understand the basics of video editing and helped me to understand the specific parts of video editing i needed for work. I highly recommend Blake and will take classes from him again in the future! Very good lesson! Looking forward to the next! I'm a total novice and Blake is very patient and doesn't mind explaining things more than once. After one lesson, I feel like I can start putting what I learned to use already. I have taken Both A Photography and an Adobe Photoshop Class from Blake. He was awesome! I learned a ton in that hour. I️ highly recommend Blake. Blake is the real deal - skilled, experienced, fully engaged, and great work with. Highly Recommend! Blake is a great teacher. He made me so determined to learn more and to get better in my craft. I started to become excited and always looked forward till our next lesson because I knew I would come out knowing way more than I did before. 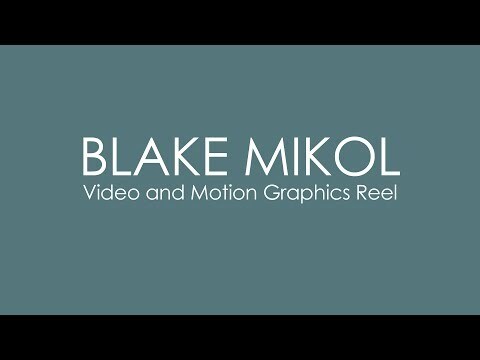 If you are unsure and/or new to this, I would 100% recommend Blake! Blake is kind and courteous and the lessons were individualized and geared to meet my needs. Blake met my expectations in teaching the functionality of a new program, and he gave me guidance designing. The lessons are easy to schedule and cancel if necessary. Easy to understand gives Blake an A+! Blake was great. Patient, knowledgeable and enthusiastic to share his expertise. Highly recommended. Blake was a great teacher. He is very professional and knows everything about graphic design. He showed me his current work he does as a freelancer and it made me more excited to possibly get into the career of graphic design. He is always on time and very respectful. I definitely recommend him! Blake was awesome! I asked for a speedy run-down of photoshop and that's exactly what I got. Thank you so much! Blake was very clear, thorough, and patient during the lesson. I had a lot of anxiety about my Illustrator class, but he made it look easy, and now it doesn't seem so bad after all. I look forward to learning more about graphics. Thanks Blake! Did a great job teaching me the basics of Illustrator so I can start to explore on my own. I love working with Blake!! He has taught me so much in graphic design!! He has also taught me so much about the programs I use and the techniques and style!!! I wouldn't use any other teacher!! He is the best!!! Blake is very professional and extremely helpful. I am a Photoshop rookie and Blake was very patient with my quirky errs and explained the right way to approach and utilize all the necessary tools. The lesson was also a breeze thanks to Blake's outgoing personality and excellent sense of humor. I highly recommend. Blake's a great guy. Very easy to get along with. He's funny and charming, and makes things easy to understand. Blake makes a great mentor and teacher. Blake has worked with me on several occasion teaching me the basics of Photo Shop. I enjoy his low pressure easy to understand way of teaching. He seems to do a bit of homework before he even meets with you for a lesson which I found very impressive. He truly tries to customize the lesson towards your needs and where your at. Rather than spit out a canned lesson. I am seeking his services for another project as we speak. Highly Recommended... not an easy thing to get me to do but he has my respect and admiration for doing things the right way for the right reasons! Highly recommend Blake! He was nice, polite and very knowledgeable on photography. I needed a refresher in order to shoot the Northern Lights on an upcoming trip to Iceland and he gave me all the tools and tips needed to make my camera work for this type of shot. He explained everything in simple, easy to understand ways that I know I'll remember for this trip and beyond! Thanks, Blake!